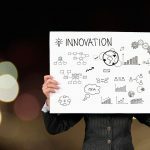 The application procedure for financing an innovative idea in investment funds and as sellers can be an extremely slow process. On the other hand, an innovative solution for raising capital through Kickstarter and Indiegogo crowdfunding platforms doesn’t allow investors to have part of the company’s “shares,” but commissions are not a small factor. The two platforms take a different commission from the projects. Kickstarter takes 5% for projects that achieve their goals, while Indiegogo has flexible funding. Indiegogo will take only 4% of the total amount for every successful campaign. But if you don’t achieve your fundraising goal, you will be charged 9% of the total accumulated funds. Both companies charge card processing fees and PayPal, which may range from 3% to 5%. These rates require a different approach when looking for ways to fund a project. 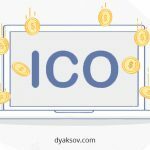 The most up-to-date and modern methods in recent years are the ICOs. By quickly gaining popularity alongside the cryptocurrencies and blockchain technologies, they are becoming the primary way to fund different innovative projects. This is an unregulated fundraising technology. 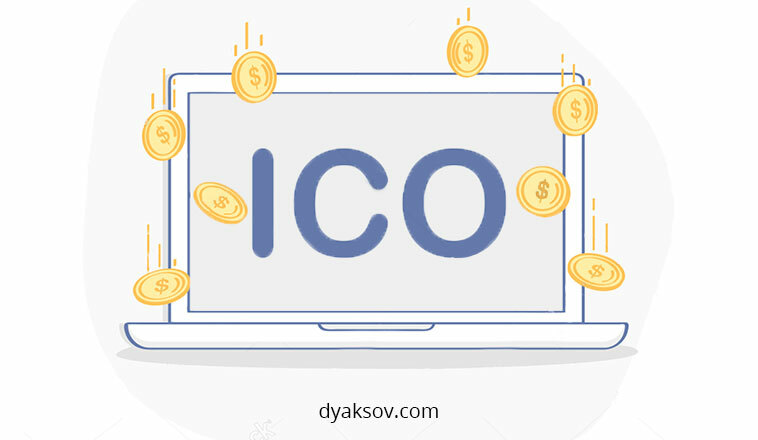 The ICO abbreviation means “Initial Coin Offering“. This is the way companies offer coins or tokens (ICO) against other tokens or crypto-currency – most often Bitcoin and Ethereum. ICO’s are not physical tokens. They are produced against fiat money (legal tender) or other cryptocurrencies. ICO’s perform the function of a voucher that we can use and exchange for goods or services on a particular platform. In most cases, a company creates its ICO to use in the business and search for buyers to fund its ideas and projects. This way, both sides benefit from the whole process. Investors, however, receive nothing more than the digital asset – neither a percentage of the company or the right to vote for future decisions. At the same time, an investor can be everyone who is willing to allocate resources, to buy tokens. This is the time when investors are considering that they can win, or the risk of losing is bigger. A good investment in an ICO project depends to a large extent on whether we’ve „written our homework“. We need to look for information about the company, about the activity it performs, about the team and their expertise. We need to look into whether we can get in touch with the team, whether they have a blog to be able to find the answers of the questions we care about, whether there are previous projects. These are signs of an existing company which worth our investment. But here comes the risk. Putting in ICO is not always a profitable strategy. Some ICO projects have no real product or proven business model. Many people take advantage of this – they throw an idea from which they want quickly to raise money. In this way, they lead on part of the investors and they put their money into a non-existent product. This is one of the greatest risks – there is something you don‘t know if it exists and if it will ever be developed. What makes it different from the public offering of shares? When people spoke about ICO projects, they immediately associated it with IPO (Initial Public Offering) projects, but there are differences in the two methods that we will see over together. While we have an “exit” strategy at an IPO and are usually organized when the company is financially more stable, ICO has an “entry” strategy and is being used by startups to raise funds for their project and market getting in. Access is the other major difference. IPOs are often granted only to institutional investors such as investment banks and mutual funds. This means that if you are not in the “big boys club” it will be significantly more difficult to acquire IPO shares. Virtually everyone can participate in ICO: everything you need is the basic currency of Bitcoin or Ethereum and you can convert them to ICO tokens. These equitable conditions break the “oligarchic” nature of traditional fundraising which allows the masses to participate in investments that could potentially benefit them the short-term capital. Another feature is participation (IPO) and non-participation (ICO) in companies. Shares acquired through IPO represent a part of the ownership of the company’s future earnings. Unlike the IPO, the purchase of ICO coins doesn‘t provide ownership of the project. You can‘t participate in the shares or in the decisions. The main and most important difference between IPO and ICO is legalization. IPO companies are required to register with the regulator to create a legal document called prospectus. In this way, they comply with certain standards and legitimize their activities. On the other hand, ICOs are not limited by a legal document. They have a document in the form of a „white paper“, which explains everything about the project and its purpose. But this is not always necessary to have. Before you learn more about ICO technology, I have to tell you what “tokens” means. These are virtual crypto scopes (in this case – ICO) that buyers buy against legal or digital currencies. Before purchasing them, they need to be familiar with ICO technology itself. When a company has an idea for a project, it starts looking for investors. Depositors themselves learn about the concept of the project. It has to be explained in details. Investors/buyers need to understand exactly what the idea is, what are the goals, how much capital is needed, and what its function when the project is over. 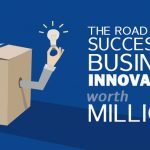 Once this idea discussed inside the company, it is introduced to the market and begins to look for enthusiasts and supporters of the initiative. This is the way ICO technology works. A technology that is getting more and more popular and supportive. The successful ICO ranking is lead by Brickblock – an intelligent contract platform that allows you to sell and invest in real estate in a blockchain. Brickblock is launched in May 2017, and in August, only for 5 days, there are over 800 investors contributing $ 1 million in income. Deedcoin – According to them, 6% of your house doesn‘t belong to you, but to your future real estate agent. Property owners in the US hold $ 15 trillion in private ownership and will lose $ 900 billion in future commissions. Through Deedcoin technology, the real estate industry can be decentralized and streamlined. Deedcoin returns up to $ 750 billion to homeowners by pricing a real estate commission and direct connection between clients and agents. NWP – The NWP solution, based in Estonia, creating an ecosystem of intellectual health will have initial coinage (ICO) for a revolutionary healthcare project. Overall, the company seeks to raise $ 20 million during the symbolic sale. Examples of successful ICO campaigns are many, but just as many are for quick “pumping” and profits at the expense of investors. Just like many other ideas, generating revenue, there are some unscrupulous people who are ready to take advantage of naive investors. Their goal is to win as much as possible, as quickly as possible and at all costs. Recent research has shown that 80% of ICO’s are a scam, and only 8% of them have a promising future. These studies include only large companies with a capital of over $ 50 million or higher. If researchers also take under attention small companies the percentage will grow up. There are several indicators that can show you one ICO is a scam. If you see ICO with tempting markers like “Our coin has a growth of 1000%!” Be careful. If something looks too good to be true, it’s probably a scam. Such rates of astronomical growth are generally not sustainable in the long term. Be cautious about projects that go beyond the promise. Bad Online Presence – One of the main elements to be considered when assessing potential fraud with ICO is the person behind it. You need to search for information about each member of the company and whether it really exists to prevent you from being deceived. As we have said, in order to create an ICO, there should be „whitepaper”, where to describe the ideas and objectives of the project. If you come across a description, where the future actions are written down simply, you are most likely to be deceived. Scams are becoming more common in the ICO system. Recently, the LoopX ICO scam has a loss of more than $ 4.5 million in investment capital after its owners replace the original legacy document with the fake one. Many of these scams work similarly to multi-tiered marketing or retirement schemes, such as Onecoin, who blackmail investors of $ 350 million and end up with the arrest of creators. The Card ICO, for example, was caught using the image of French actress Sabine de Ponsins as chief executive of the platform like Patricia Harrison. There are countless examples of deceptive ICOs. After all, the best means to avoid a scam is common sense. Don‘t be fooled by the high-profit rate and the impossible short runtime. Therefore, carefully examine before investing. November 2017 – The European Securities Markets Authority has published two statements for ICO. The first warned investors about ICO’s risky investments. The second was a warning to ICO companies to fallow the regulatory obligations and licenses that may apply to their activities, including the Prospectus Directive, The Markets In Financial Instruments Directive, The Alternative Investment Fund Managers and The Fourth Anti-Money Laundering Directive. April 2017 – TFP (Financial Behavior Authority) publishes a consultation paper on the use of block technology. The document states that international ICO organizations can be IPOs or private security stations. TFP introduces a regulator that allows companies to launch innovative products and services without licensing them in advance. This framework may be appropriate for some ICOs, according to TFP. September 2017 – The newly created ICO Committee forbid individuals and companies to raise funds through ICO and to provide services for trading with encrypted currencies. The Committee recommended that the relevant authorities investigate 60 specific trading platforms that enable funds to be raised via ICO. In general, we can conclude that the concept of initial coinage is still in the beginning. With the fast progress in blockchain technologies, we can be sure that there will be more innovations in the future. 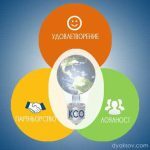 At the same time, ICO international organizations can follow some government regulations and the network itself. From now on, the industry looks very positive for ICO’s future. It should be noted that there are significant risks in this market and only people with good knowledge of the crypto market could successfully get in. 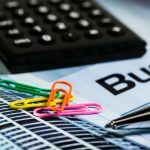 Why should business be socially responsible?